Dream Home is California’s leading Solar Power Systems and Green Home Solar Power Products Improvement provider, serving thousands of homeowners since 1999. Though it may come as a surprise, solar power systems are now cheaper than nonrenewable energy in a lot of markets, no matter how you decide to install your solar system. To make setting up your solar power system easy and affordable, we have many different options for financing available. What will solar panels look like installed on my roof? Our modern solar panels are designed to quietly and elegantly become part of your roof, never looking tacky, outdated, or like a relic from a science-fiction film. Panels capture the sun’s rays and wires carry it to an inverter that turns them into electricity. When you produce more power than you use, that energy returns to the electricity grid. What are the environmental impacts and benefits? What if I sell my home? Do I continue to owe payments on my solar system? The option to transfer the payments to a new home owner exist through specific Programs. Energy markets aren’t predictable, and utility costs rarely get cheaper. it’s never been easier to install solar power systems to power your home. energy producer in just one day. We do more than install high quality solar. 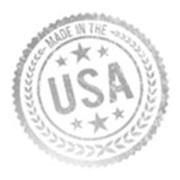 We create American jobs, support American suppliers and advance American innovation.